Focuses on what an effective wellness and prevention program can do for your business. Natural relief for chronic sufferers. 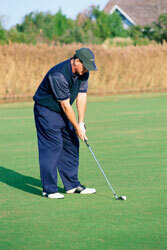 This workshop teaches golfers how chiropractic care can significantly improve their swing AND lower their score. Increasing athletic ability through chiropractic care. Golfers, tennis, softball, and football players can learn how they can add significant performance to their game. New research indicates cervical corrections can reduce stress on the nerves affecting a variety of headaches. How chiropractic care can help one cope with both personal and professional stress associated with living in today’s world. For more information on our Wellness Workshops please contact our Orlando chiropractic office at (407) 291-1000.